Michal Marianek teaches at Prague College School of Art & Design. He is a Czech audio-visual artist, pedagogue, curator and coordinator of cultural events. 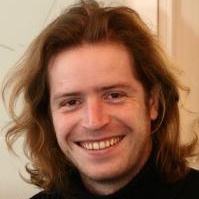 Michal has been experimenting in domain of digital arts since 1997, and his interests include computer game design, audiovisual performances and electronic music. He holds a master degree in fine arts from the Faculty of Fine Arts, Brno. Since 2002 he has focused on digital sound processing and audiovisual performance. Michal is currently curating and coordinating cultural events at CIANT - the International Centre for Art and New Technologies.